Japan is well-known for its unique cuisine and beverages are not an exception. Here are some interesting drinks to try out while you are in Japan. They are all on my personal list of favourites and most of these drinks can only be found in Japan and selected shops overseas. The Calpis Soda drink comes in all sorts of shapes and sizes. Calpis, by itself, is a yogurt-like drink not unlike Yakult – slightly acidic with a milky texture. Add some bubbles to it and you get the carbonated Calpis Soda. Just imagine this: a carbonated yogurt drink! Despite sounding somewhat ominously like Cow Pi… (never mind), Calpis Soda is a soft drink I swear by. Where: most fast food and family restaurants, izakayas, vending machines and convenience stores. Amazake and mochi at the famous Amazake-Chaya in Hakone. Next on the list is a more traditional offering. Amazake (甘酒), translated loosely as “sweet rice wine”, is a thick, sweet drink that dates back to the 4th century. Amazake typically has little or no alcoholic content, despite its name. Like sake, it is made from fermented rice and the ‘koji’ mold is used in the process, as with miso and soy sauce. Where: supermarkets (pre-packaged), traditional gift shops and tea-houses. 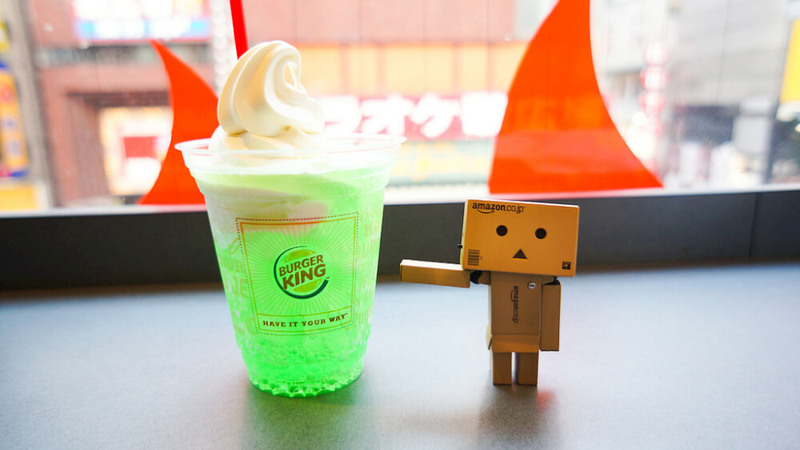 If you happen to be eating at a fast food joint or a family restaurant in Japan, do try out the Melon Soda drink. In truth, Melon Soda tastes nothing like melons although it is still very much a tasty drink. I tend to alternate between Melon Soda and Calpis Soda when having “Drink Viking” (the term sometimes used in Japan for unlimited drinks bar). This drink even made a cameo appearance in the television drama series 「Bloody Monday」as the preferred drink of a terrorist. Where: most fast food and family restaurants. Bottles of Hoppy retaining their classic look. Like Amazake, Hoppy by the Kokuka Beverage Company is an almost non-alcoholic drink (0.8%). Hoppy originates from Tokyo and is often used as a mixer with Shochu. Historically, this drink was as a cheap alternative to beer which was expensive during the postwar years of the late 40s. There is no harm trying it out the next time you have a nomikai (drinking party) in Japan. 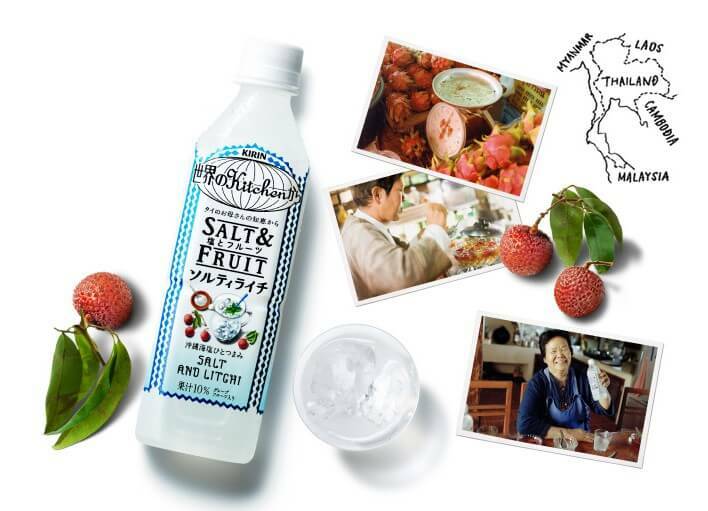 Kirin seemed to have found a winning formula when marketing the Salt & Fruit drink series “from the World’s Kitchen”. Recently, friends around me have been raving about this drink and you can find this drink series being mentioned in many traveler’s trip reports. The choice of flavors include salt and lychee, and salt and pear. Where: convenience stores and vending machines.